Do we really need websites when we have Facebook business pages that allow us to build our customer bases, promote and sell our products/services? This question arises every so often. I have heard it asked a few times recently, so I thought I would weigh in with my views once again. The difference between having a website and just maintaining a presence on Facebook is comparable to owning a house versus renting one. When we own, the place is OURS. We set our own rules and are able to do anything we wish with and within our domiciles. Conversely, when we rent we live subject to the rules as set forth by our landlords. We may not do as we please; indeed, ignoring the rules may result in our being evicted from our homes. Websites are our businesses’ homes. They belong to US. We make the rules, control the designs, post what we want, plan and run promotions the way we desire, and house our all important original content there. 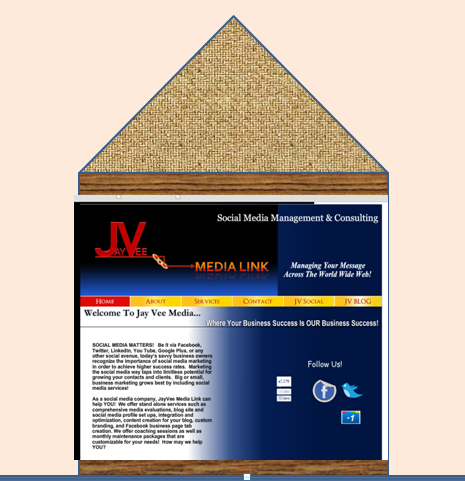 We can and should host links to our Facebook business sites and other social media channels on our websites. But while they are important, those business sites are merely rented spaces. Facebook, for one, is a stickler of a landlord! We are not free to post anything we want on our business pages, or to post in any manner we desire. We must follow the platform’s strict rules for promotions and contests. If we don’t play by ITS rules, we will be evicted. And we will lose everything in the process, with no avenue for recourse. Let me repeat that, for it should be the most unsettling consideration for us: If we don’t follow Facebook’s Terms of Service (TOS), our business pages will be shut down. And there is no real recourse for appeal. In essence, that means we do not own or control our content when it is kept on the Facebook platform. 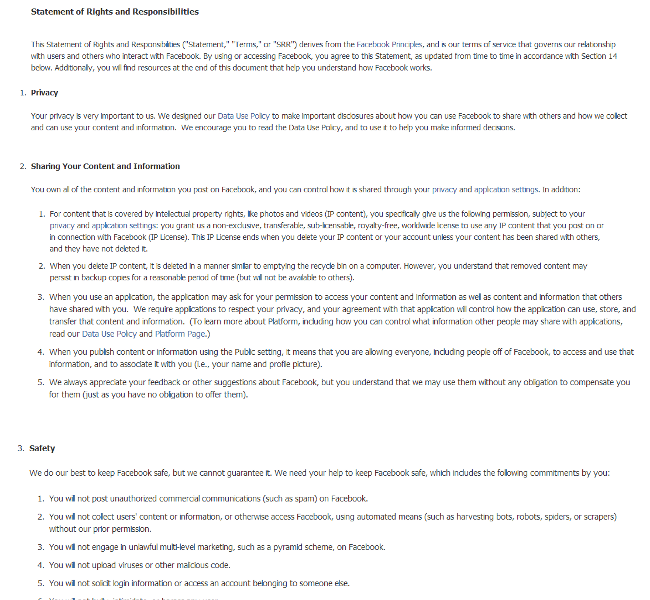 Additionally, Facebook’s TOS frequently change. In fact, rules for the cover photos of our business pages just changed again: as of January 15th, text may take up no more than 20% of our cover photos. Were you aware of this new stipulation? Failure to keep track of such changes diligently can cost us our business pages, along with all the fans we have amassed and content we have created. Scary thought, right? Lack of control and only tenuous ownership of our own content; small wonder Facebook is not a replacement for our websites. We need to consider this carefully and use the platform for what it is: an important tool in our social media marketing toolboxes. Facebook is wonderfully effective for sharing our posted content, engaging and exposing our brands and offerings. But for the security of our businesses, we should not make it into something it wasn’t meant to be – the sole online home for our companies. How do you field questions from your clients about Facebook versus websites? Please share your perspectives in the comments section below! This entry was posted in business online, Facebook, media platforms, Social Media Management/Marketing, website and tagged business online, Facebook, Jeanine, Social Media Management/Marketing, Vecchiarelli, website by Jeanine Vecchiarelli. Bookmark the permalink.